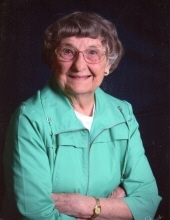 Jean L. (Gabel) LeWarne, 95, of Mason City, died on Thursday, March 28, 2019, at her home. A funeral service will be held at 10:30 A.M. on Wednesday, April 3, 2019, at First United Methodist Church, 119 S Georgia Ave with full military honors. A visitation will be held from 4:00 to 6:00 P.M. Tuesday, April 2, 2019, at Major Erickson Funeral Home, 111 N Pennsylvania Ave.
Interment will take place in Memorial Park Cemetery. Memorials can be made out to the First United Methodist Church. Jean was born February 10, 1924 the daughter of Charles J Gabel and Martha (Ruhnke) Gabel. She grew up in Ledyard, IA graduating from Ledyard High School in 1941 as class salutatorian where she excelled in music and earned a four-year letter in basketball. She completed one year of college at Waldorf College before she and her sister Cleo enlisted in the US Navy WAVES in June 1944. After boot camp at Hunter College, Bronx, NY, she served in the pay office in Pasco, WA. She returned to college under the GI Bill, graduating in 1949 from Iowa State Teachers College (Now UNI), Cedar Falls, IA with a BA in Business Education. She taught and coached girls’ basketball in Gilmore City for six years. She was united in marriage to Gordon E. LeWarne of Pomeroy, IA at the Methodist Church in Ledyard, IA on June 10, 1951. In 1955 they moved to Mason City where Jean retired from teaching and became a full-time homemaker after the arrival of Joel in 1956 and Dawn in 1959. Jean and Gordon joined First United Methodist Church in 1956. She served on several church commissions, was active in Sarah Circle, taught Sunday School and sang in the church choir. After her children were raised, she worked for the United Methodist District Superintendent as executive secretary. Jean was past member of Iowa State and National Education Associations, Faculty Wives, charter member and officer of WAVES National, Mason City Chapter #130. Jean learned to play the harmonica as a child and gave programs for civic groups, churches, schools and nursing homes. After a beautiful union of 40 years, Gordon died in 1991. Also preceding her in death were her father, mother, infant brother, her sisters Cleo Stubbe and Margie Madsen and several nieces and nephews. Jean is survived by her son Joel and wife Amy of Marshalltown, her daughter Dawn and husband Jim of Edina, Minnesota, five grandchildren – Brooke (Max) Freund, Cedar Rapids, Neil (Kate) LeWarne, Van Meter, Nick (Lauren) LeWarne, Iowa City, John Quimby, Minneapolis, Captain Ben Quimby, Fort Leonardwood, Missouri, three step-grandchildren – Elizabeth (Justin) Ejtehadi, Moore, Oklahoma, David Guymer, Moore, Oklahoma, and Emily Guymer, Milford. To send flowers or a remembrance gift to the family of Jean Lucille (Gabel) LeWarne, please visit our Tribute Store. "Email Address" would like to share the life celebration of Jean Lucille (Gabel) LeWarne. Click on the "link" to go to share a favorite memory or leave a condolence message for the family.